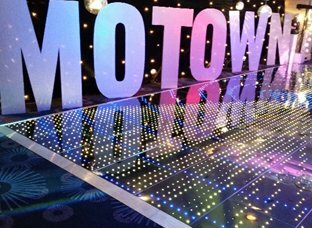 This site has been formed for clients like you that just want a short term hire or a more permanent rental of dance floor and or Stage and staging systems. 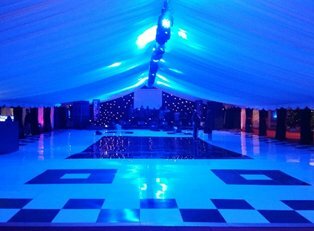 We are proud to be the largest stockiest of dance floor in the London area, well come to mention it in the whole of the UK, with our vans and installation staff in, out and around London every day. 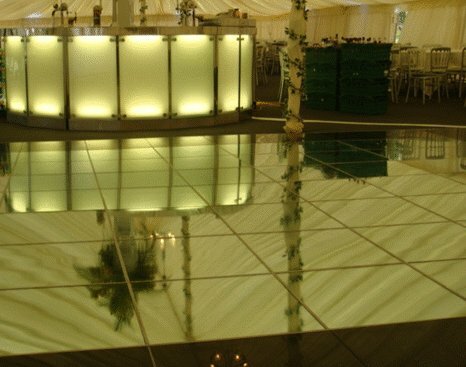 We can get your flooring to you when you actually require it suiting your events schedule. We have a simple booking process which just could not be easier. You can email your enquiry. Or of course you can call us and talk to one of our Events Team on 08712 88 44 60 who will be happy and more than capable to deal with your enquiry. 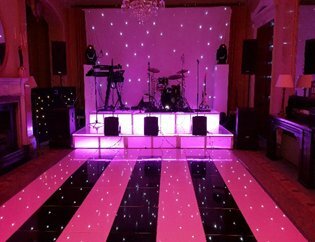 We are the first choice for your events solution in and around the London area offering great packages from led furniture, led cocktail tables, Battery Up lighters, Star cloths to disco packages and stages and even led cocktail bar section straight and or curved. 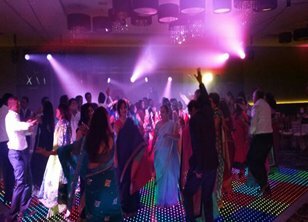 Our choice of dance floors is second to none and do not forget you can even mix and match. 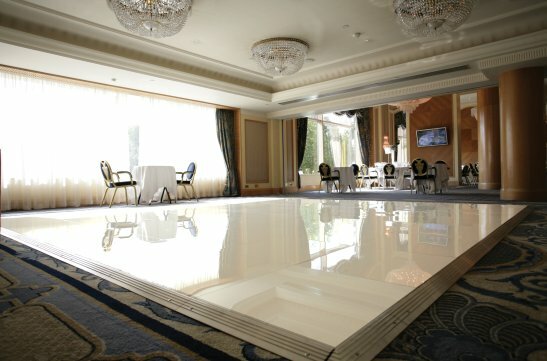 After many years in the dance floor and staging sector of the events industry our dedicated warehouse staff have been continuously coming up with ways to improve the cleaning process and have just come up with a legendry way of prepping the dance floors for your event, the results are unbelievable with the floor looking like as new every time, you can see your face in it every time. 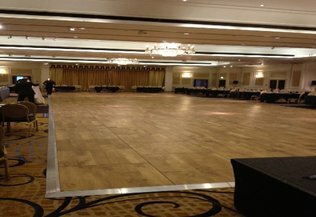 As you will soon see using London Dance Floor Hire our floors are second to none, using a constant rotating replacement of stock scheme of our floors, which keeps our floors in immaculate condition and of course giving you piece of mind that you are going to get the right floor looking great for your event every time even on last minute panic calls. So just covering the whole of London from Kingston or Croydon to Mill Hill to Dartford to Heathrow basically anywhere inside the M25 Give us a try! we are the best you will soon forget the rest. 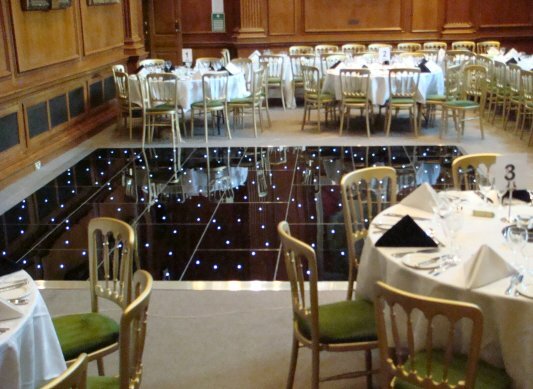 With our close relationship to the manufacturer of all our floors we can ensure that we can always provide you with the floor you require in any style or size. Not only does this relationship allow us to have the largest stock, but also to be at the forefront of any technological advances and the first to receive any new products. 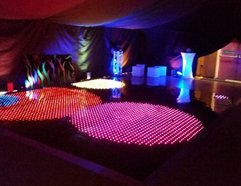 So far for 2016 we have doubled our stock of Colour Commander floor due to its high demand and have just taken delivery of two 24ft circular dancefloors. One in white the other in black. 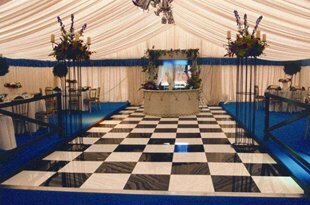 If you need anything else for your event then please contact us as we can provide anything that you require. 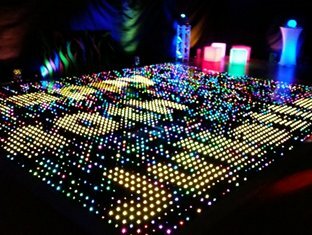 Pixel technology dance floors as used in the Olympics opening and closing ceremonies. This is the very latest in technology built in to dance floors and even in our pixel star cloth, basically doing limitless patterns and colour generating, pretty much doing whatever a computer can do. This floor comes complete with an operator, and is not suitable for outside use. Do you own your own dance floor? Is it in need of some tender Loving Care? Bring your own acrylic floors back to life click here for details.